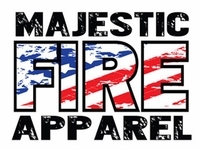 Majestic Fire Apparel, Inc. is a leading manufacturer of fire retardant hoods, accessories and ARC rated apparel. Our materials are knit and sewn at our facility located at the foothills of the Pocono Mountains in Lehighton, Pennsylvania. As an ISO 9001:2008 registered company, our policy is to maintain a compliant Quality Management System. Majestic offers fire retardant hoods that are UL Classified and compliant with NFPA 1971-2007 Edition Standards. In addition we offer Industrial, Welding, and Electrical hoods, Apparel and Accessories - many of which are third party certified. Our focus on quality and new product development has attributed to our success in serving customers in the fire and safety industry for the past decade. We also offer custom products, if you don't see exactly what you’re looking for, contact us -877-572-9592 manufacturing safety with your needs in mind is our motto.